In 1960, Oliver introduced two new models. The 1800 was a replacement for the 880 model. It also used a 6-cylinder gas, diesel, or LP engine. It was completely restyled with a heavy cast iron grill and squared off hood. The 1900 was the new “big” tractor. It followed the same styling as the 1900 and used a 4-54 GM diesel engine. It can easily be identified by its roaring engine or the dual air cleaners. The 1900 was never available with a gasoline engine. In late 1962, Oliver introduced the 1600. It was styled similar to its big brothers, the 1800 and 1900. 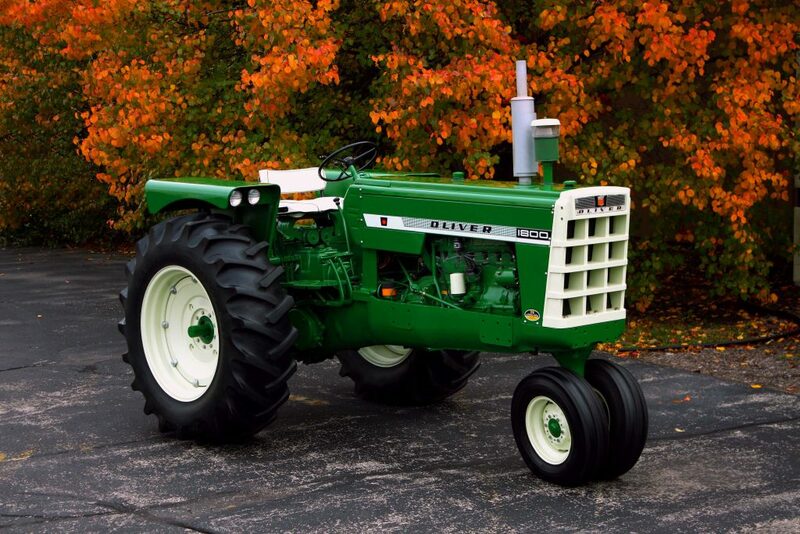 The 1600 was built as a Row Crop, Wheatland, and Hi-Crop model. It offered a gas, diesel, or LP engine. While these tractors were in production, Oliver also introduced two models that were built by David Brown but sold as Olivers. The Oliver 500 was basically a David Brown 850. It was sold from 1960-1963. The 600 was the larger model and was equal to David Brown’s 990. This was offered until 1963 also. When David Brown began to market their own tractors in the US, Oliver discontinued this relationship.